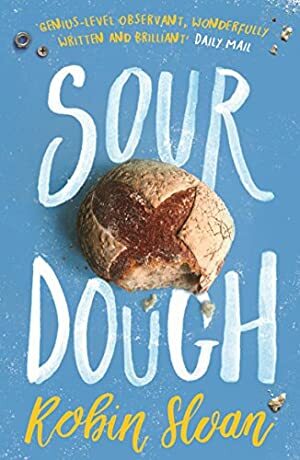 Leavened by the same infectious intelligence and lovable nerdiness that made Robin Sloan's Mr Penumbra's 24-Hour Bookstore such a sensation, Sourdough marks the triumphant return of a unique and beloved young writer. Lois Clary is a software engineer at General Dexterity, a San Francisco robotics company with world-changing ambitions. She codes all day and collapses at night, her human contact limited to the two brothers who run the neighbourhood hole-in-the-wall from which she orders dinner every evening. Then, disaster! Visa issues. The brothers close up shop, and fast. But they have one last delivery for Lois: their culture, the sourdough starter used to bake their bread. She must keep it alive, they tell her - feed it daily, play it music, and learn to bake with it. Log In to track Robin Sloan on eReaderIQ. to be notified each time the price drops on any book by Robin Sloan. to stop tracking Robin Sloan. We started tracking this book on May 22, 2017. This book was £12.98 when we started tracking it. The price of this book has changed 35 times in the past 704 days. The lowest price to date was £0.98 last reached on January 29, 2018. The highest price to date was £12.98 last reached on May 22, 2017. This book has been £12.98 one time since we started tracking it.